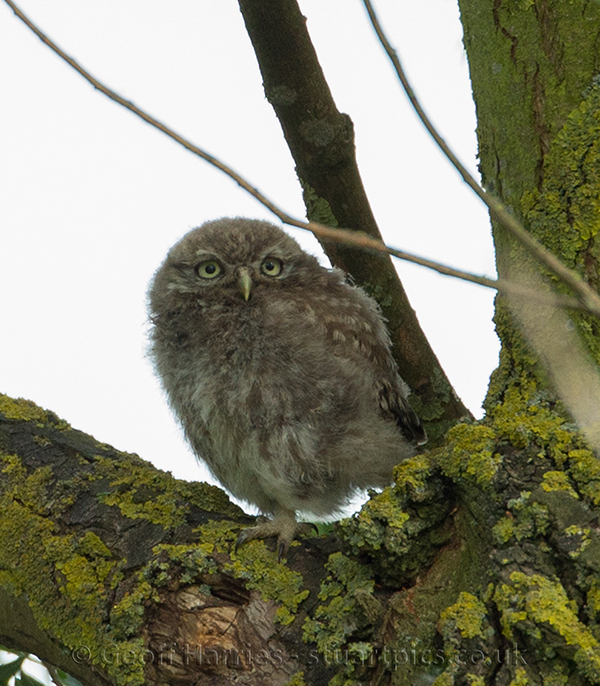 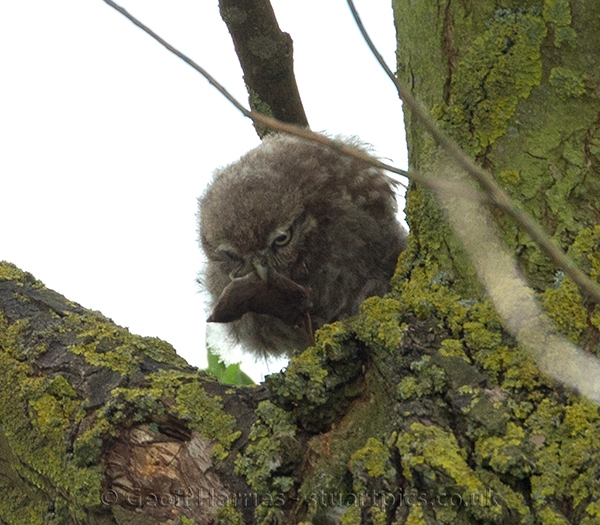 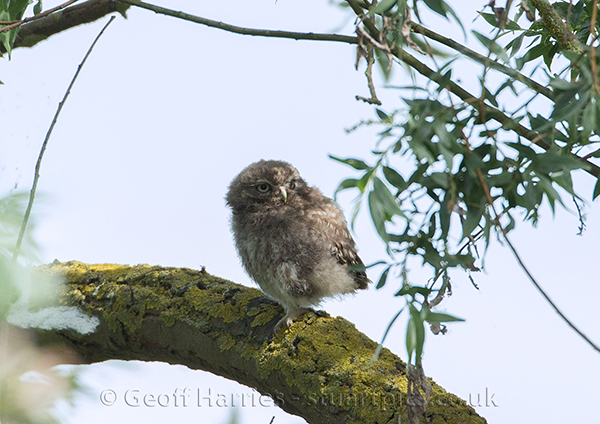 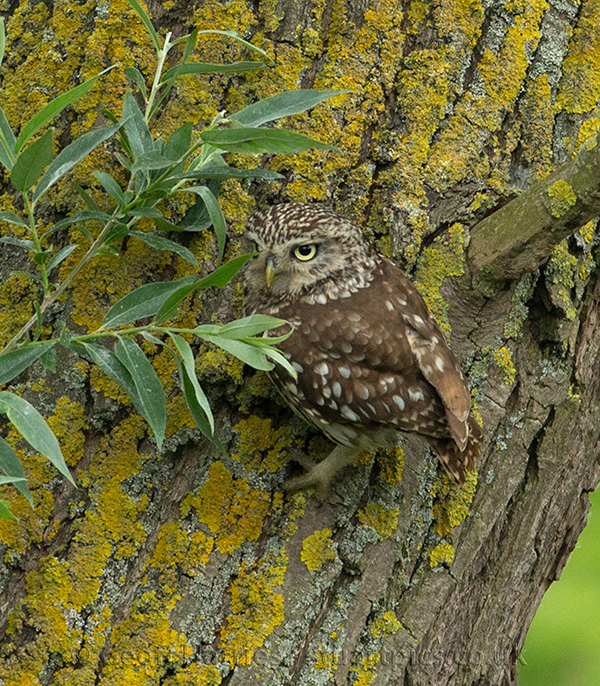 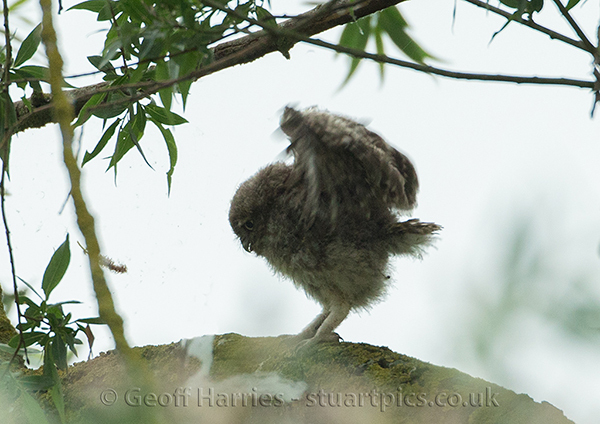 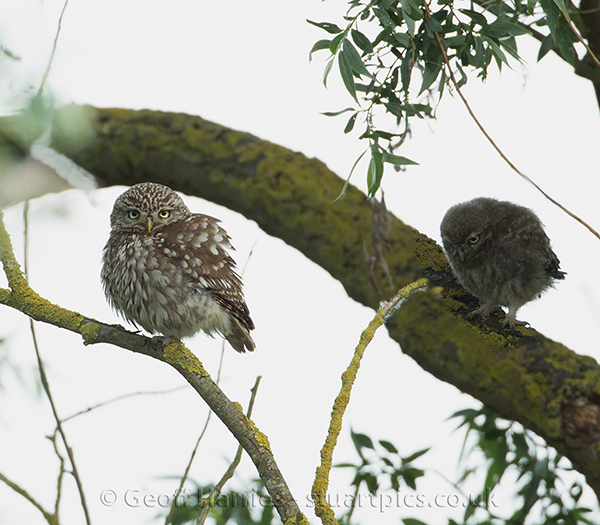 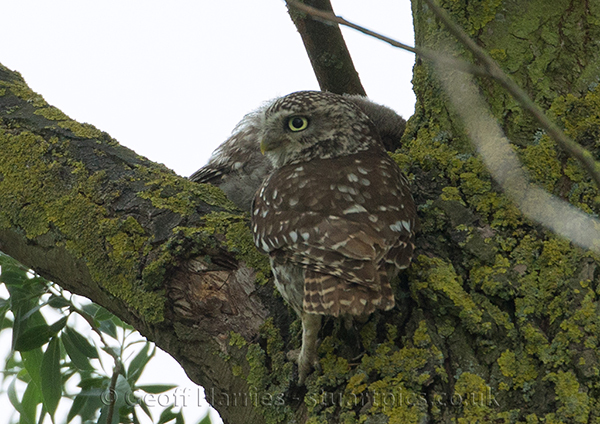 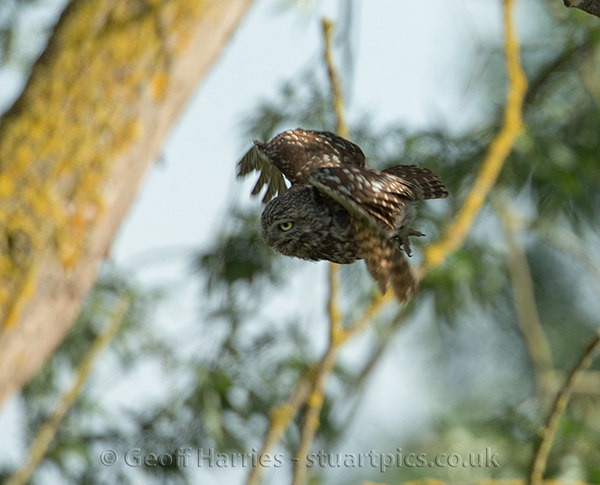 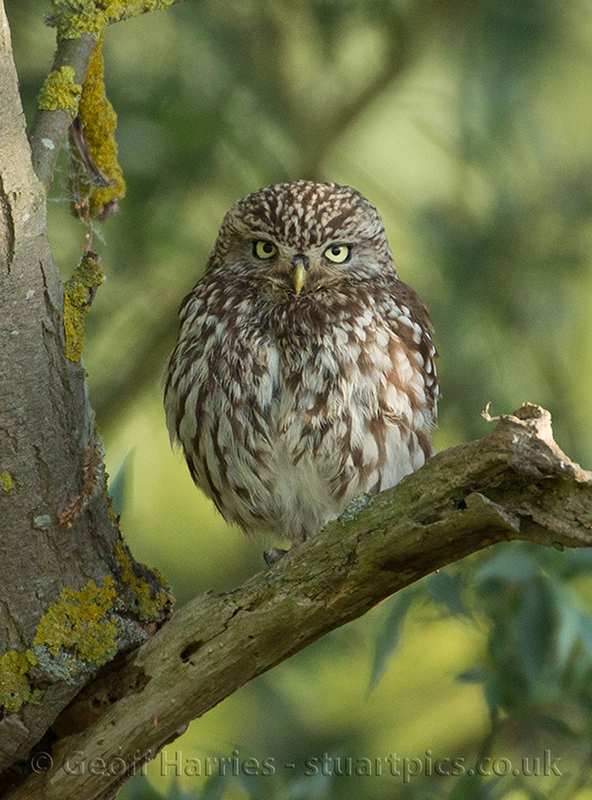 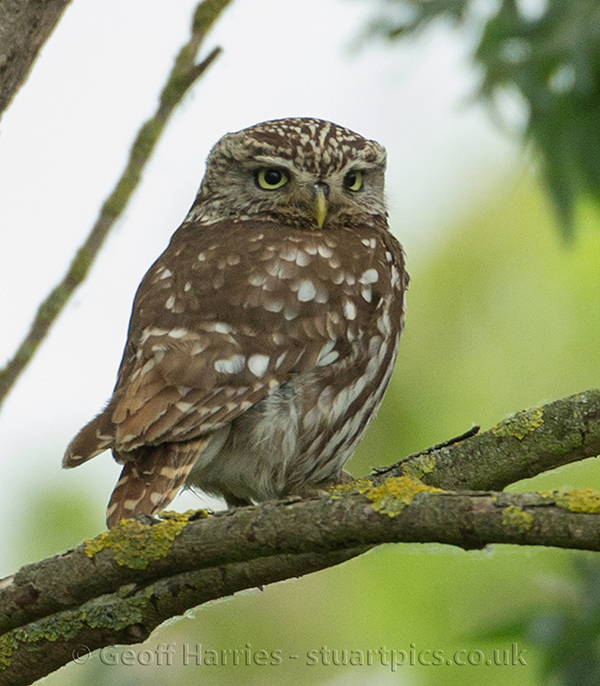 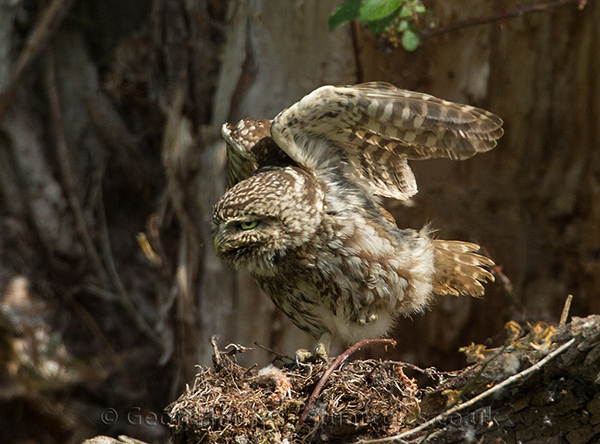 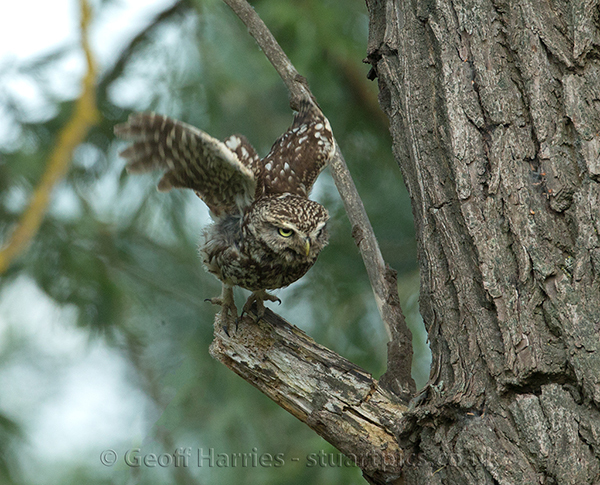 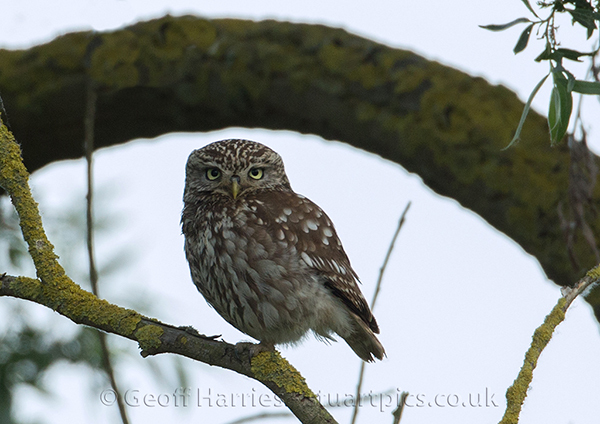 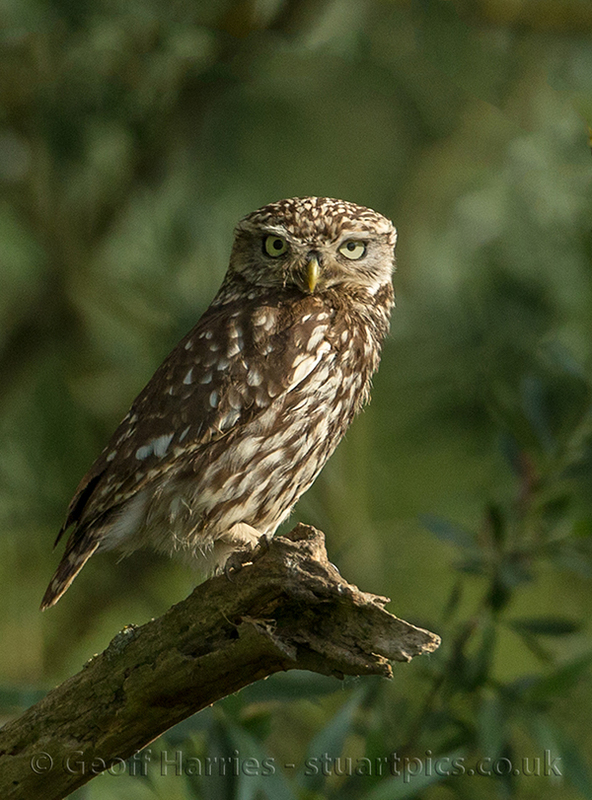 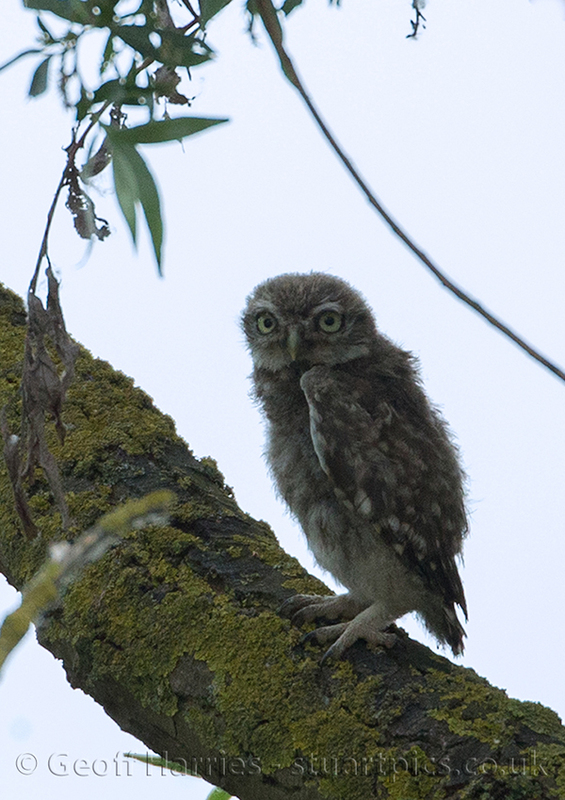 These little owl images were taken in the early morning covering their activities over a 10 day period. 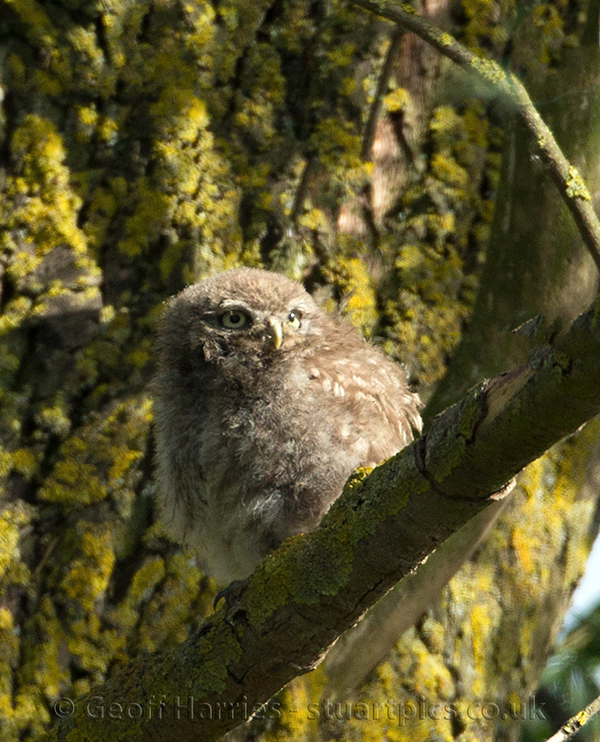 The owlet has since fledged and moves within the trees with a mixture of short flights and scrambling up branches. 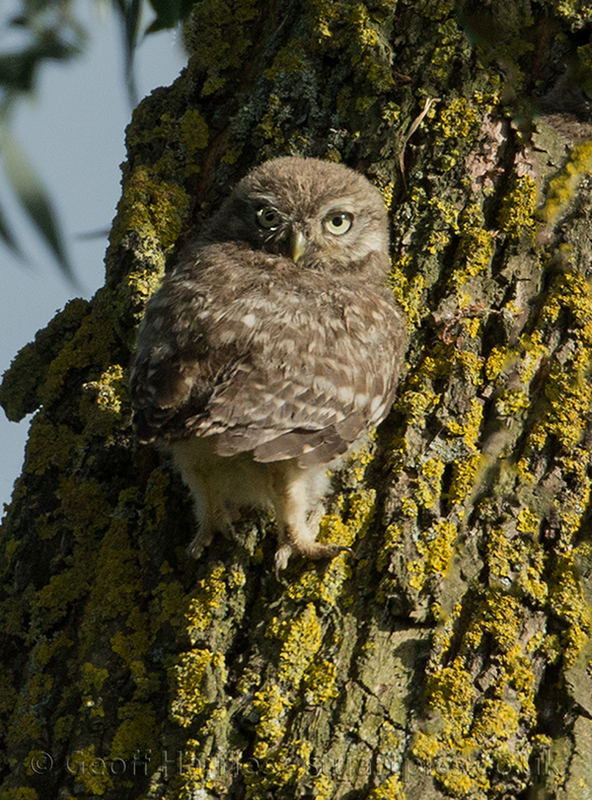 It still relies on the adult for its food consisting mainly of insects, also shrews, voles and even small birds.Their behaviour is really comical and some times they remind me of toy owls the way they strut around and change their shape.